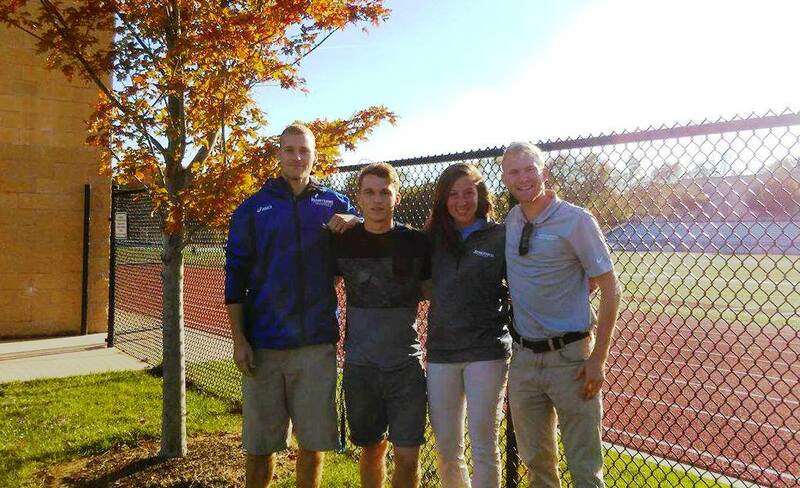 Westminster Christian Academy (WCA) has given us a comprehensive athletic training experience applying the different domains of athletic training with a variety of high school sports teams. Additionally the mix of an international student from Athlone Insitute of Technology (AIT) in Ireland and SLU students from two different cohorts provides an especially rich learning environment. 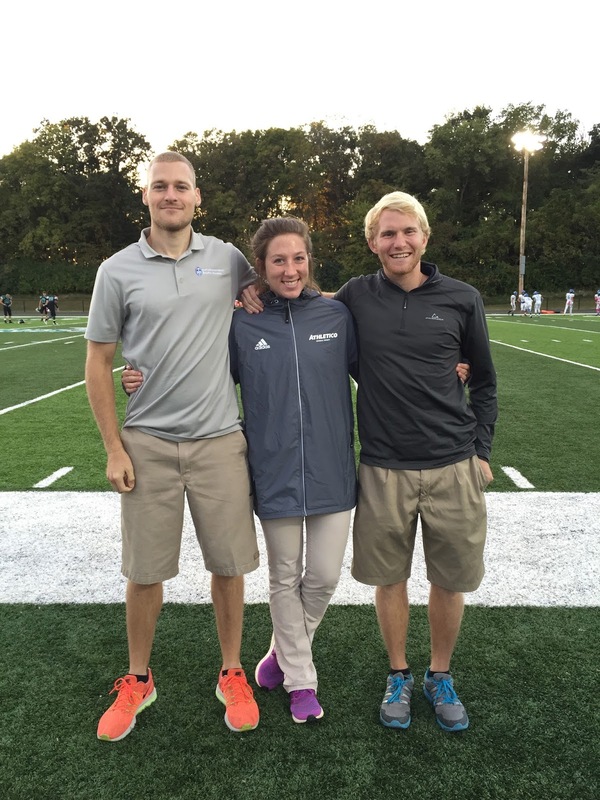 Hilary Orf MAT, ATC (SLU MAT Class of 2013), the athletic trainer at WCA, works for Athletico and cares for all fall sports teams including football, softball, soccer, cross country, field hockey, volleyball, and swimming. She has been an valuable resource teaching us not only a variety of clinical skills, but also how to provide the best treatment possible while maintaining the balance of covering multiple teams. We have improved and learned new preventive taping techniques, as well as focus on the use of manual therapy in rehabilitating athletes with a variety of injuries. 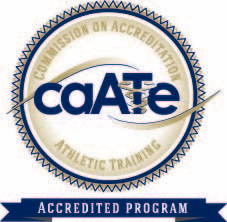 This semester has been a great experience for gaining further insight into assessing on-field injuries, deciding when an athlete can return to play, and providing acute wound care. There have also been opportunities to learn how to apply various braces and splints. Westminster Christian Academy is the perfect clinical site to learn what it means to work in the high school setting after graduating from our program at SLU.